Aksharadhool: Water Scarcity in Cherrapunji? Meghalaya is one of the seven states, known as seven sisters, located in North-East India. With its green foliage cover, it is one of the most beautiful and picturesque states in theUnion of India. The famous Cherrapunji town is located in West Khasi hills in this state. Cherrapunji’s name is so famous that any school going lad would surely know about it. The reason for its being so well known is simple. It is recognized as the town with highest rainfall in the world. This state came into being in 1972 and was named as ‘Meghalaya’ (The house of the Clouds) because of the weather in the state. 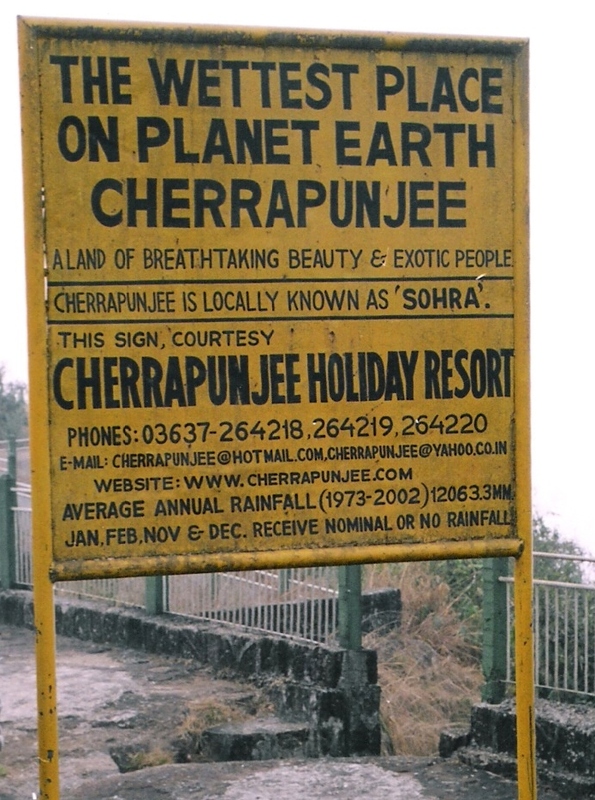 The town of Cherrapunji however deserves this name more aptly as the average rainfall in Cherrapunji exceeds 1100 c.m. every year. 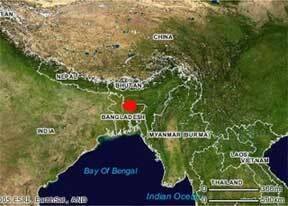 In the year 1861, Cherrapunji had received 2891 c.m. of rain in just one month, which also happens to be the all time record here. However due to some unknown reasons, the rainfall in Cherrapunji seems to be dwindling every year. Within last 5 years, the average rainfall has reduced by as much as 20 %. According to the weather office, the rainfall this year has been in the range of 800 to 900 c.m. only. As a result, Cherrapunji seems to have lost its title of ‘The Town with Highest Rainfall in the World’ to a nearby village known as ‘ Mawsynram”. 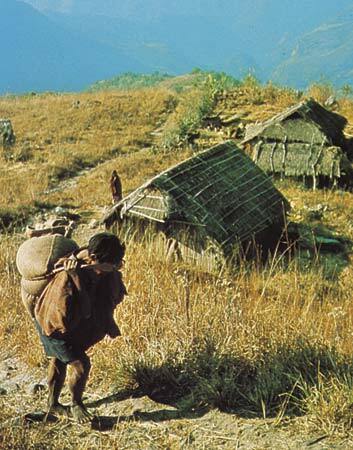 This village, about 50 to 60 kilometers away from Cherrapunji, received about 1200 c.m. rain this year. 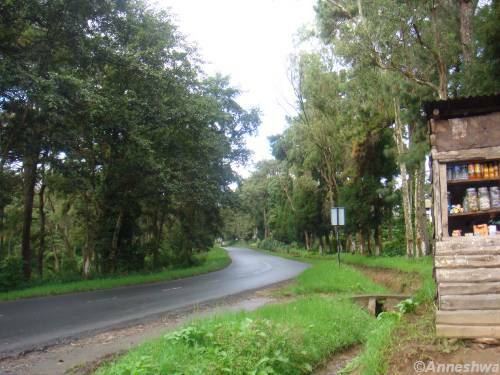 Most of the tourists visit Cherrapunji, when they visit Shillong, the capital of this state. This tourism business as thrived in Cherrapunji and has drawn in large number of people as tourism creates many more jobs. As a result, the population of this town has multiplied by 15 times from the original figure of just 7000 people. There is no water reservoir or any water storage tanks in this town. In the winter months, enough water is not available for the population of the town. One can see every morning, water tankers arriving in Cherrapunji. Since most of the tourists come here to see the rainfall, locals are afraid that with dwindling rainfall, there would be a proportionate decline in the number of tourist arrivals. The regular tourists to Cherrapunji say that during the decade of 1990, a visit here, would turn out to be a memorable one. While motoring on the road, visibility would be extremely poor due to rain bearing clouds almost touching the road and the heavy rain and one would have to find his way through this. 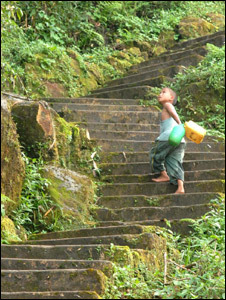 In the same Cherrapunji, water needs to be purchased now and the average daily temperature also has gone up by 2 to 3 degrees Celsus. The rainfall pattern also appears to have changed. When the rainfall is expected, it seldom rains and heavy rainfall occurs when least expected. The rainfall also seems to have become more localized. According to the locals, Global warming is the only reason that could be given for this change in weather pattern. Whatever may be reason, the reduced rain fall, increased average temperatures and disappearance of the fabled water falls in surrounding areas, is bringing tourist numbers down for sure.